Immunogen Purified recombinant fragment of human SOX2 expressed in E. Coli. Transcription factor that forms a trimeric complex with OCT4 on DNA and controls the expression of a number of genes involved in embryonic development such as YES1, FGF4, UTF1 and ZFP206. Critical for early embryogenesis and for embryonic stem cell pluripotency. 1. Proc Natl Acad Sci U S A. 2008 Nov 25;105(47):18396-401. 2. J Biol Chem. 2008 Nov 28;283(48):33730-5. 3. Nature. 2008 Oct 23;455(7216):1124-8. Figure 1: Western blot analysis using SOX2 mAb against HEK293 (1) and SOX2(AA: 2-317)-hIgGFc transfected HEK293 (2) cell lysate. 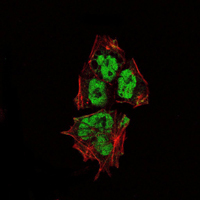 Figure 2: Immunofluorescence analysis of NTERA-2 cells using SOX2 mouse mAb (green). Red: Actin filaments have been labeled with Alexa Fluor-555 phalloidin. 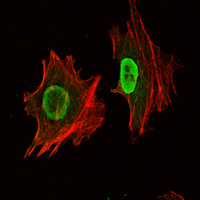 Figure 3: Immunohistochemical analysis of paraffin-embedded lung cancer tissues (left) and esophageal cancer tissues (right) using SOX2 mouse mAb with DAB staining.